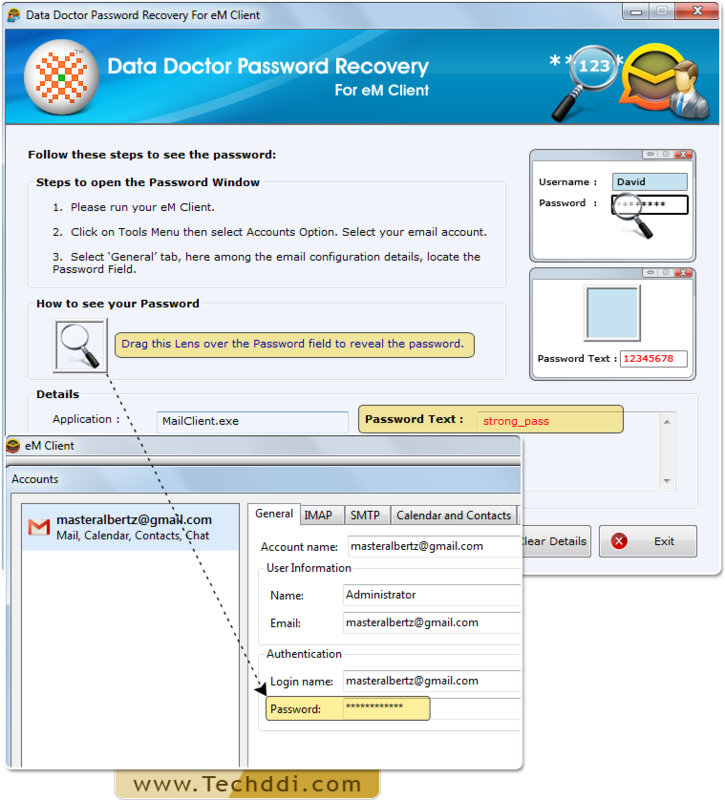 Password Recovery For eM Client enables users to retrieve long, complex, unique and identity passwords from eM Client software. 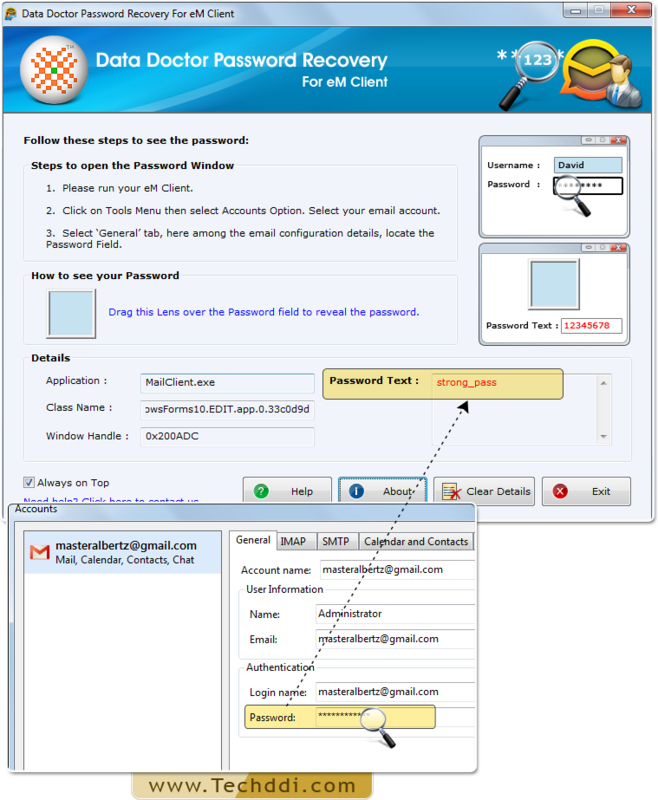 Password restoration tool works with all major Windows operating systems. 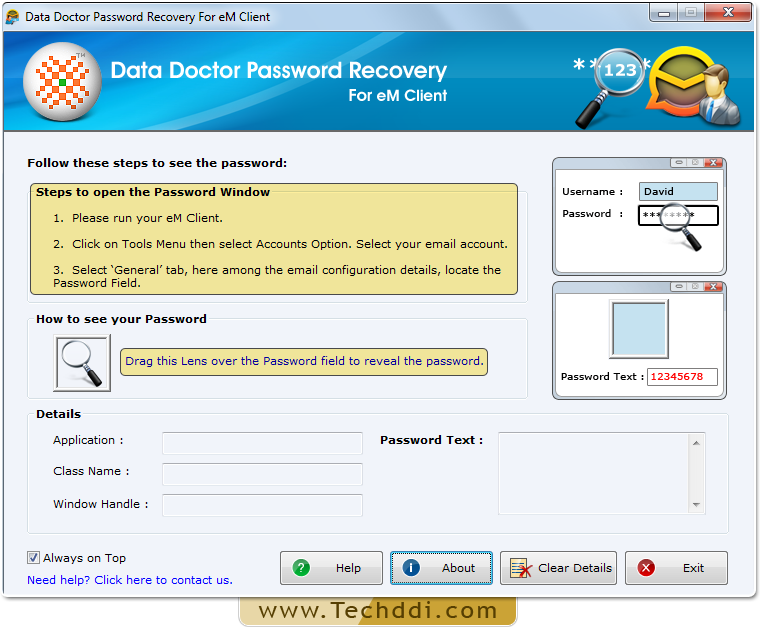 Restoration of lost password by Password Recovery Software For eM Client. Install and Run Password Recovery For eM Client. 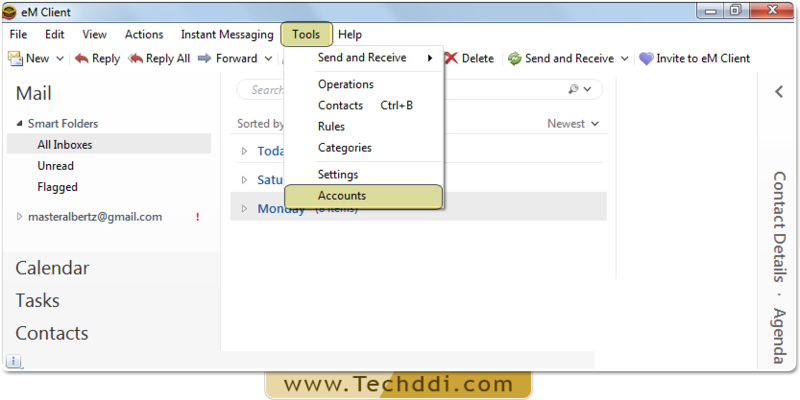 Open your eM Client and Select accounts option from 'Tools' Menu then choose your account. 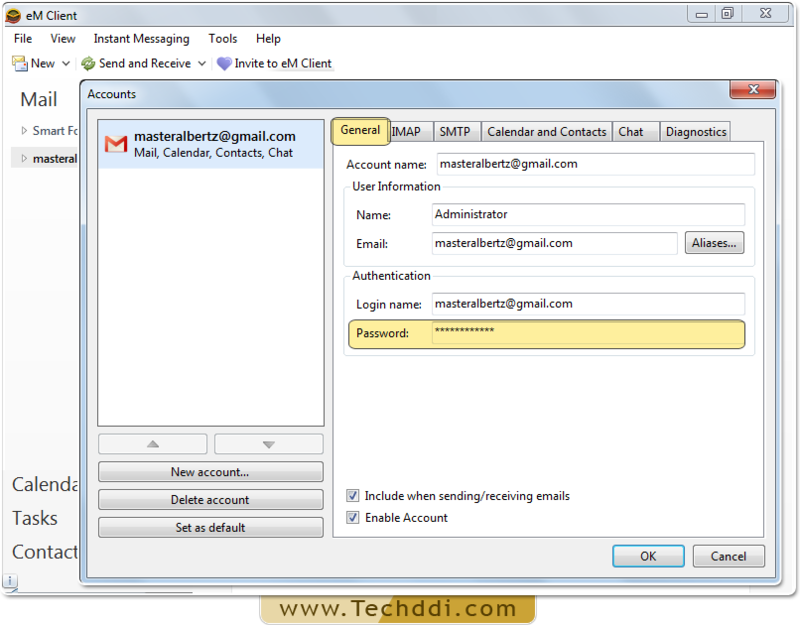 Locate the password field among configuration details in ‘General tab’.